The H2Grow Team are excited to introduce Carolyn Hedley as our guest contributor, it is with great pleasure that we can share with you her valuable expertise. Carolyn is a Soil Scientist with Manaaki Whenua, based in Palmerston North, and lives on a small Kairanga farm with husband, Mike. 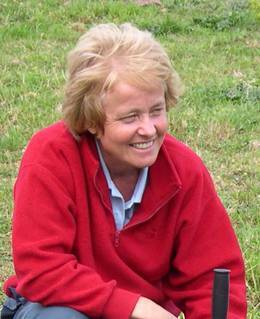 Carolyn has combined her interests in soil science, proximal soil sensing and precision agriculture with on-farm studies of precision irrigation and soil carbon mapping. 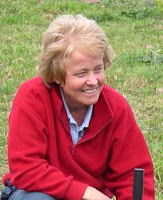 She has led several nationally funded projects in irrigation and soil carbon, including current leadership of the MBIE funded programme “Maximising the Value of Irrigation”. Early in the new millennium I found out about EM mapping and in 2004 published a method in the Australian Journal of Soil Research to rapidly EM map soil variability on a basis of soil texture. I realised that EM mapping was a really useful new technology to rapidly survey soil variability. The EM map had picked the difference between a Kairanga silt loam and a Kairanga clay loam, and this had management implications for the farmer because the heavier textured soil would compact sooner when grazed in wet conditions. I could see great potential in this new technology and so embarked on a PhD in proximal soil sensing and this is when I started to relate the EM map to soil available water holding capacity and realised how useful this could be for irrigation scheduling. But critics commented that irrigation systems cannot irrigate to such a complex pattern (example shown in Figure 1 below). Enter Stu Bradbury and George Ricketts, who had worked with me on some EM mapping projects when they were students at Massey University. There was an engineering solution to this problem – control the sprinkler system on a pivot to irrigate to any pattern – which led to the development of the Precision VRI system. Precision VRI, the world’s first true variable rate irrigation system, turned the heads of the global irrigation giants and as a result Lindsay Corporation acquired the technology development company founded by Stu and George. There was still work to be done though and a proposal put to the Ministry for Business Innovation and Employment received six years funding in 2013 to further research methods to improve management of irrigated land. Now in its final year, the “Maximising the Value of Irrigation” programme has been able to refine methods to use proximal sensor data to create prescription maps for precision irrigation. It has developed soil and crop sensing methods that can inform in near real time the prescription map, and a prototype scheduling tool has been tested with participating farmers as a smart phone app. The in-field sensor monitoring methods have been used to support Lindsay further refine the software control features for the Precision VRI system, which is remotely managed through the FieldNET platform. Ekanayake, J. and Hedley, C. (2018) Advances in Information Provision from Wireless Sensor Networks for Irrigated Crops. Wireless Sensor Network, 10, 71-92. Research into different soil management methods has identified correct tillage and soil surface management methods to store more water in the soil and reduce irrigation requirement and water losses. 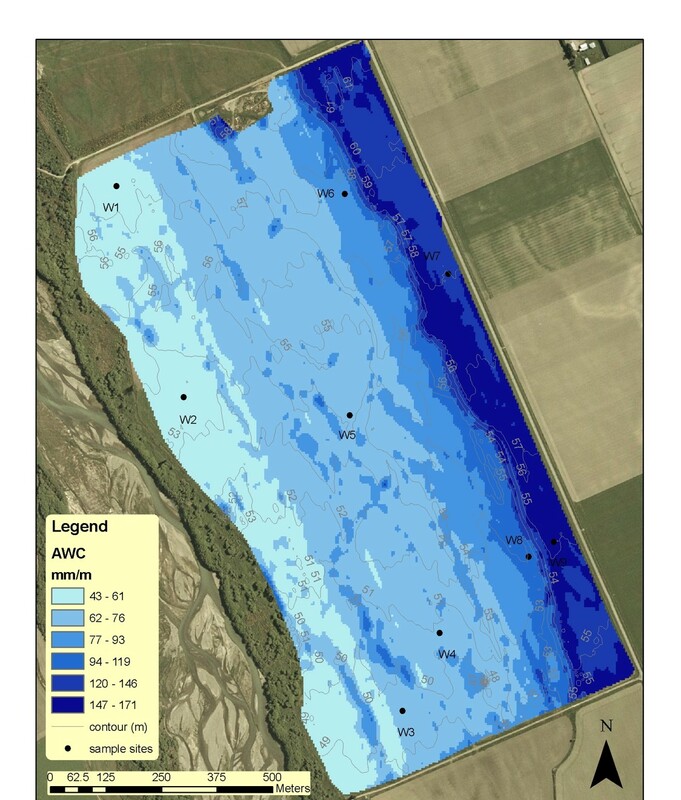 A spatial framework to run the APSIM model has been created to test the effect of different irrigation scenarios on yield, drainage and water use efficiency. Spatial-APSIM simultaneously runs the model for up to 1,400 grid cells for one irrigation system to compare results of different irrigation scenarios at spatial resolution < 50 m, over several decades. The MBIE Programme “Maximising the Value of Irrigation” is now working closely with its industry advisory group to ensure that its findings are communicated effectively and to find ways to integrate new tools and support improved management of irrigated land in New Zealand. H2Grow is the initiative of three companies with extensive knowledge of sustainable nutrient management, efficient irrigation practices and enabling technologies. They hope through sharing their knowledge and expertise to be able to help growers improve the efficiency and effectiveness of the way they irrigate. It is hoped that growers gain direct economic benefits while also improving the outcomes for the environment and sustainability of farming industries as a whole. Harvest 2019 is Upon Us! All content provided on this blog is for informational purposes only. The views expressed on this blog are the educated opinions of the individual authors and have no relation to the companies affiliated with this blog. The authors of this blog and the companies affiliated with it make no representations as to the accuracy or completeness of any information on this site or found by following any link on this site. The authors and affiliated companies will not be liable for any errors or omissions in this information.